We provide recommended timing belt changes and cambelt replacement in Milton Keynes. All services and repairs are available weekly, give us a call for a free quotation. If you need a cambelt replacement in Milton Keynes, there is no specific size that fits every vehicle. The belt itself must be approved by the vehicle manufacturer before installation can commence – the majority of car manufacturers will suggest that you have your cambelt changed after a certain mileage is reached or a certain time frame has passed, whichever comes first. The cambelt is a major component of any car engine. Some technicians and garages that provide a cambelt replacement in Milton Keynes may refer to them as a timing belt. The cambelt or chain is a rubber based belt with teeth which works with the crankshaft and camshaft. The cambelt, in simple terms, regulates how your car’s engine runs. Its role is to manage the opening and closing of valves to the cylinders. The cambelt is an important part of any engine, regardless of manufacturer; they should be replaced as per manufacturer guidelines to avoid potentially expensive damage being caused if they fail. If your engine squeals whilst running it could be a sign that your cambelt or pulleys are worn and in need of replacement. 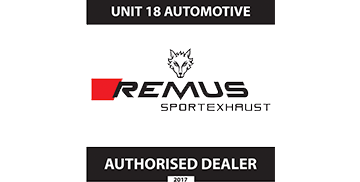 Does Unit18 use original parts when replacing the cambelt? When we undertake a cambelt replacement, we only use original manufacturer parts to ensure both quality and longevity. We also recommend that when the cambelt is changed, the associated pulleys and water pump (including all associated fluids such as oil & coolant) are also replaced to eliminate problems in the future. For details as to when your vehicles cambelt replacement is due, always check your own users manual for more information. Alternatively, give us a call and we will be able to assist you. Why Us for Cambelt Changes? We use manufacturer approved parts to increase reliability and longevity. A cambelt change is always recommended by manufacturers after a certain period of time. All cambelt changes available with our experienced technicians. "Every time I started my car and pulled away, the engine would make an awful squealing sound. I contacted Unit18 to get it checked out. Turns out the cambelt hadn’t been changed for more than 8-years and was badly damaged. I had the cambelt changed and it made an immediate difference."